Although every twenty and thirty-something Canadian accepted the trend of dating apps, some studies have shown that most of them do not particularly like what they’re seeing. More specifically, these apps have changed the whole online dating game in Canada and the results are pretty shocking. As a trend, especially a tech-related one, is accepted by the population that makes and breaks trends in general, it becomes a part of everyday life. But what happens when a generally-accepted trend is not particularly liked by the people who are prone to sticking to it the most? Does anything change at all, and how does that trend affect the entire online dating scene in Canada? According to many researches, the majority of the twenty and thirty-something population in Canada has an account on at least one dating app. After work, they go out for drinks where they spend most of the time on the internet, dating apps in particular. Tinder, as the most popular dating app in the world, is the biggest similarity that connects all these people who are, ironically enough, disconnecting themselves from one another more and more with each “swipe.” They don’t approach each other, and rarely talk even in the company of friends. Still, they don’t change their behavioral patterns, even when they realize that they aren’t particularly good. Canada has a strong online dating scene, and the apps have only made that way of courtship stronger and more influential. People rarely go on specific online dating sites now. Why would they, when the game is constantly being played on their most cherish position – their smart phones. When it comes to the older generations, they still prefer dating sites to dating apps because they’ve spent too much time adjusting to this type of romance only to abandon it in a matter of few trendy minutes. 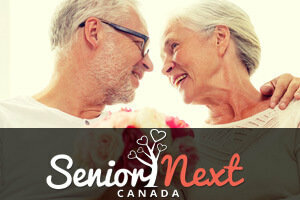 The older Canadian online dating population still acknowledges the importance of communication, and they usually spend more time communication with someone before actually meeting them in person. Studies suggest that this behavior is related to their wish for commitment. Apart from the 40+ population, it seems that Canadians will continue to “swipe,” at least until something new comes along, even when they become the “older” generation. Will dating sites become a thing of the past as the current 40+ population dies out, remains to be seen. All in all, the online dating scene in Canada dramatically changes every couple of years, and that is one trend that surely won’t go away. Ever.